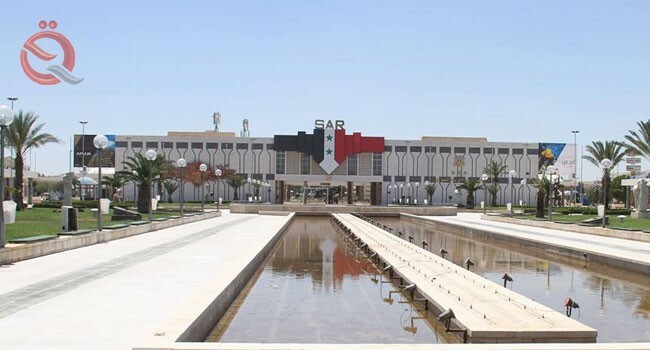 Iraq's participation in the 60th session of the Damascus International Fair will be held in Iraq this September, the State Company for Exhibitions and Commercial Services of the Ministry of Commerce announced on Sunday. The company said in a statement it received "the preparations to participate in the Damascus International Fair, 60th session to be held in Damascus for the period from (6 to 15 September 2018), by the General Organization for exhibitions and international markets of Syria." She added that "this participation comes within the framework of the first executive record of the memorandum of understanding signed between the General Company for Exhibitions and Trade Services of Iraq and the General Organization for Exhibitions and the Syrian international markets on the activity between the two sides and means of joint cooperation." She added that "participation in the Damascus International Fair will be the third this year after its participation in the Cairo International Fair in the Arab Republic of Egypt and the Sfax International Fair in the Republic of Tunisia, which comes as part of the efforts to contribute to the process of promoting the Iraqi economy in general and national industry in particular by introducing the product In the international exhibitions and its advantages and high quality in an effort to open foreign markets for these products. " The company said that "the company is keen to expand its participation in international exhibitions, where it decided to be the official wing of the Republic of Iraq at the Damascus International Fair twice the space in the previous two exhibitions by inviting the participation to the relevant local government bodies represented by ministries of industry, minerals, oil, agriculture and culture, And the Federation of Iraqi Chambers of Commerce in addition to inviting more than (100) from the mixed and private sectors. " She stressed that "Iraqi participation in international exhibitions achieved a distinct success through the large turnout enjoyed by the Iraqi pavilions by visitors and interest in the exhibits and products and acquisitions covered by."